Grease is inescapable in a kitchen environment, especially in and around grills and fryers. Over time, this grease builds-up in kitchen tile and grout, creating a slippery, safety hazard. 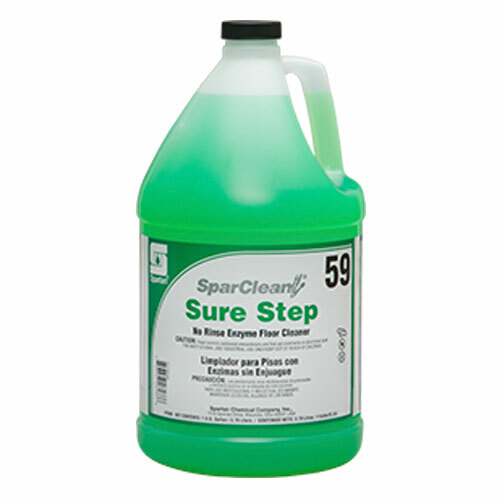 SparClean® Sure Step is a no-rinse, enzyme floor cleaner that breaks down built-up grease, improving slip resistance. With the ability to remove even the toughest food-based fats, oils, and greases, the SparClean Sure Step enzymatic action continues to work even when the floor is dry! When used regularly, SparClean Sure Step restores traction to even the greasiest of floors.